A project that started out as a feasibility study for a freestanding exploration well is now a fully installed tripod platform structure with the deepest well drilled to date in Dubai and a benchmark project for 2H Offshore. Dubai Petroleum Establishment had planned to drill a single exploration well in Fateh oilfield, offshore Dubai, and was keen to explore methods of preserving it for future re-entry, stimulation and long-term production testing. They knew that drilling would require a large investment and were reluctant to abandon the well only to return and drill another well in the future. Dubai Petroleum required a platform solution for a high-pressure, high-temperature exploration well in 50m of water suitable for installation using a jackup drilling rig. 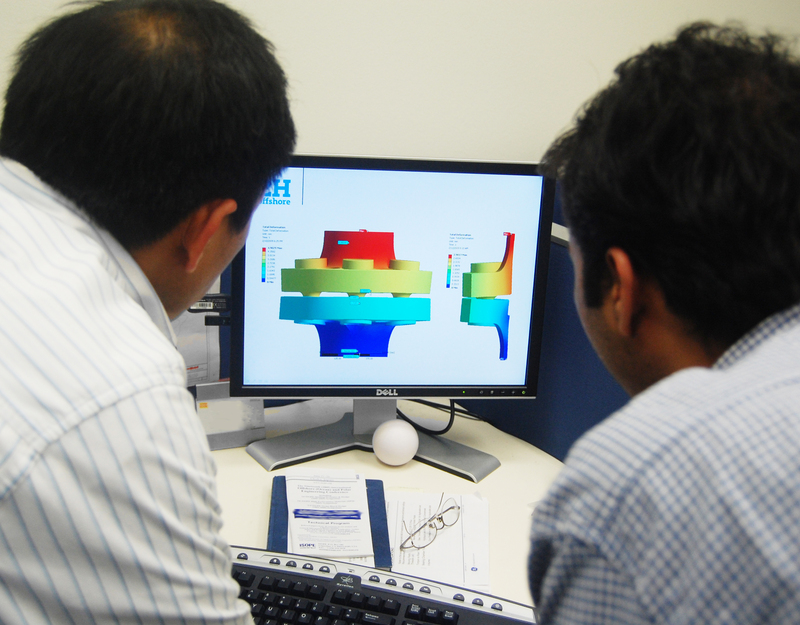 Under a long-standing master services agreement with Dubai Petroleum, which covers a range of technical studies, 2H Offshore was tasked with investigating a range of cost-effective solutions. After the initial assessment, the company developed the preferred option through feasibility and front-end engineering and design studies before delivering a detailed design package, which included fabrication drawings and outline installation procedures. 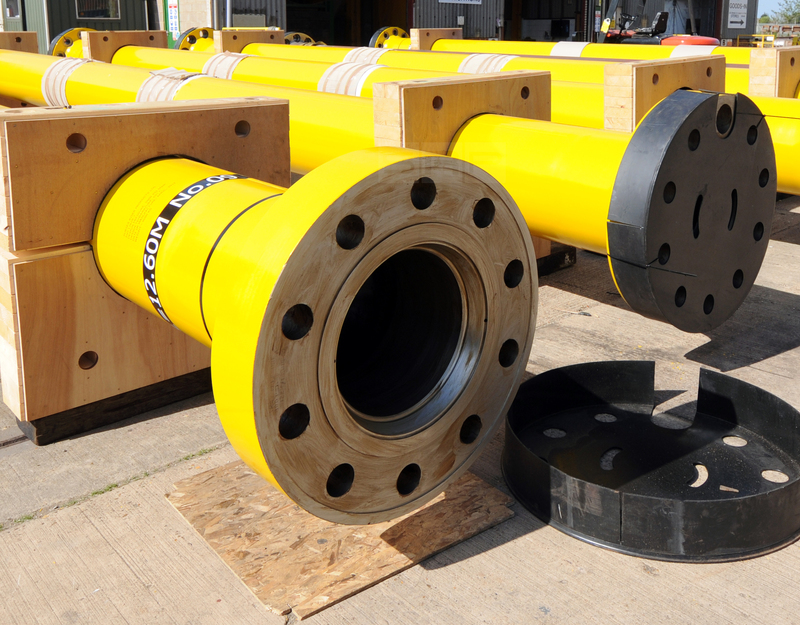 The solution involved installing two additional conductors adjacent to the well conductor and providing a brace structure between them to create a tripod platform. This concept was developed in collaboration with Dubai Petroleum’s engineering team to defi­ne the most feasible solution for fabrication and installation while maintaining the technical brief to achieve the required two-and-half year lifespan for the conductor system. 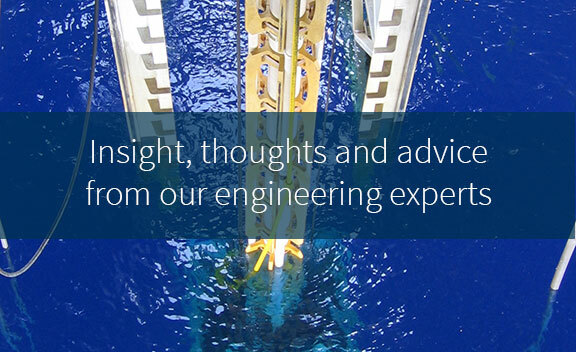 “There was a lot of discussion from the outset, with different disciplines being pulled together to ensure that we reached a solution that met all Dubai Petroleum’s requirements,” says Anthony Falsetta, project engineer, 2H Offshore. The main benefi­ts of this design for Dubai Petroleum are that it can be installed by the drilling rig before drilling operations and the versatility it provides for future operations. 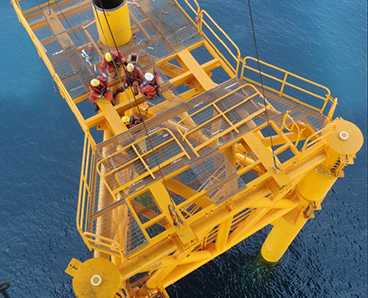 Having the conductors braced together at the top enables the addition of a work platform to provide easy personnel access and flexibility for offshore work. It is well-understood technology using straightforward structural fabrication to tie the conductors together with clamps and braces. 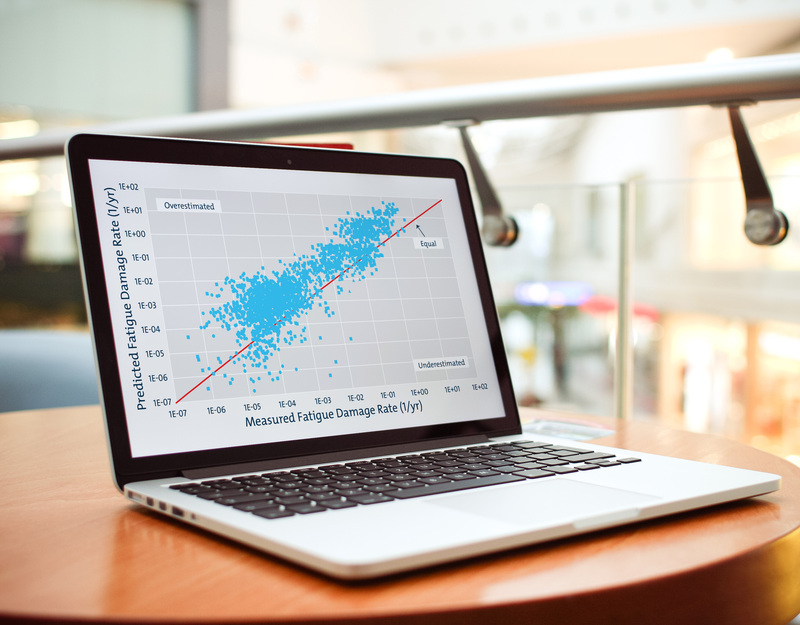 If you compare that with other options considered, the conductor-supported platform has fewer unknowns, so the installation and performance could be planned with greater certainty. Detailed design work for the project started in late January 2013 and the platform was fully installed by September 2013. The high-pressure, high-temperature well was drilled shortly after to 5562m and is the deepest well drilled in Dubai to date. Acteon Group sister-company Claxton secured a hardware supply contract for the project to provide the running and installation tool for the template. 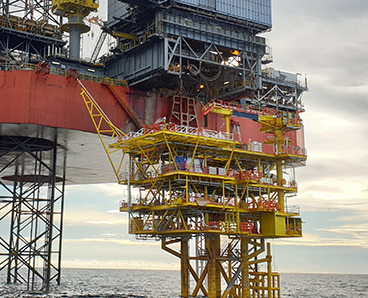 Since completion of the initial project, 2H Offshore has continued to work with Dubai Petroleum on several projects, including on one to extend the life of the T-02 platform by up to 20 years by the addition of a mid-water brace. Our effective collaboration and innovative approach resulted in a bespoke design which overcame the technical challenges associated with this project while delivering a cost-effective and flexible solution to Dubai Petroleum. It has become a benchmark project for several other studies involving the preservation of a freestanding well with a view to additional drilling or production operations, particularly as it is suited to installation from a drilling rig. It will also provide a good reference point for Dubai Petroleum on any future tripod platforms.